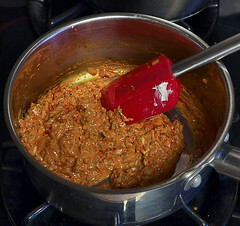 Rather than give you yet another dip, enchilada, nacho, or taco recipe I thought to provide you a spicy/salty nibble to help soak up all the celebratory May 5th drinks. 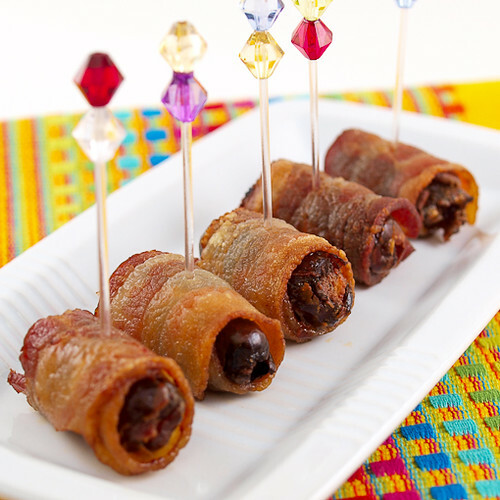 For a long while I have been in love with bacon wrapped dates. 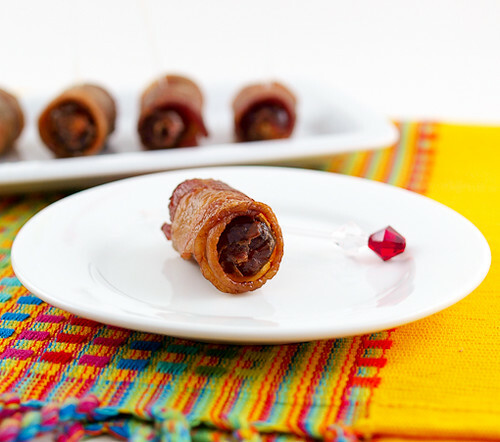 Something about sweet, tender dates wrapped in crisp, salty bacon makes my heart go pitter-pat. 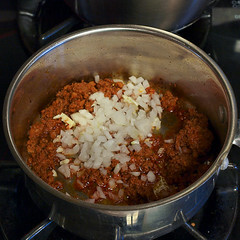 Something else that makes my evil heart trip with joy is Mexican style chorizo … I think you know where this is going. These dates are stuffed with a chorizo mixture that includes cream cheese, cheddar cheese, onions, garlic, and pickled jalapeño. I also tossed in a little cayenne pepper for extra zing. The final bite is packed with flavor, but it is balanced. The sweetness of the date counters the salty pork, while the vinegar tang of the pickled jalapeños cuts the richness of the cheese filling. 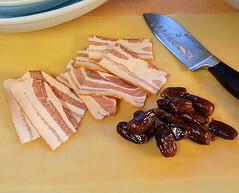 I will note here that bacon wrapped dates are not always beautiful, but if you par-cook the bacon in the microwave for a minute or two before baking the dates will have a better shape, be less greasy, and become more crisp. All good if you ask me. 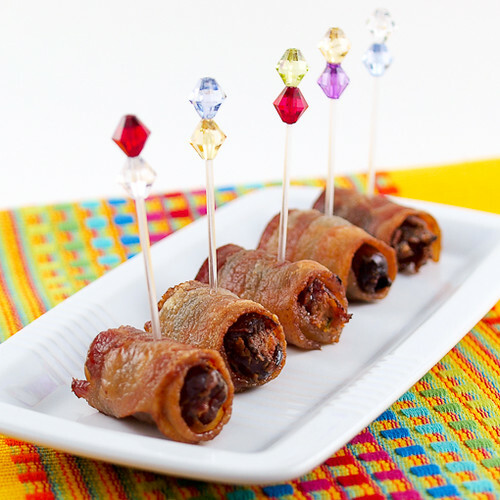 Serve these warm or at room temperature with frosty beer or margaritas and celebrate! Heat the oven to 350 F and place a wire cooling rack on a foil lined baking sheet. Spray the rack with non-stick cooking spray. 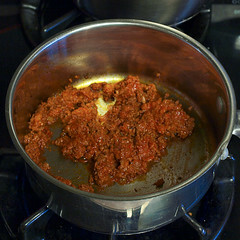 In a small pot over medium heat cook the chorizo until slightly darker in color, about 5 minutes. Drain off the excess fat and add the onion and garlic. Cook, stirring constantly, until the onion is softened, about 3 minutes. Add the jalapeño and cayenne pepper and cook for 1 minute. 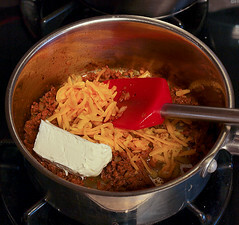 Turn off the heat and add the cream cheese and shredded cheese. Stir well to mix. Allow to cool to room temperature. 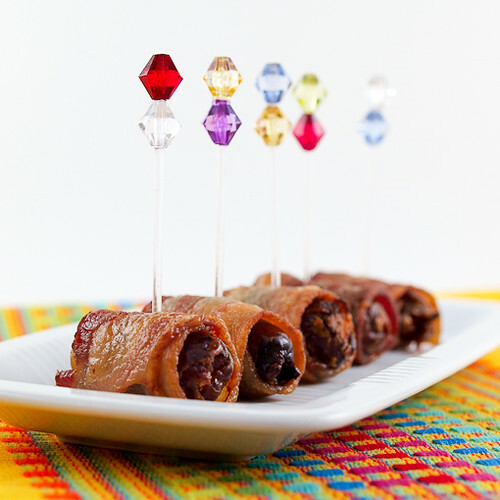 Place the bacon pieces on a microwave save plate lined with paper towels. Cover with a sheet of paper towels and cook for 1 to 2 minutes on high, or until the bacon has released some fat and is partially cooked. Set aside to cool. 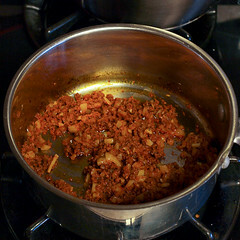 Place the cooled chorizo mixture into a piping bag fitted with a medium round or star tip. 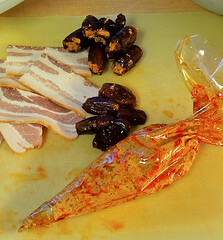 Pipe a teaspoon of filling into each of the dates, then wrap the dates in the par-cooked bacon. Place the stuffed dates on the prepared pan, seam side down. 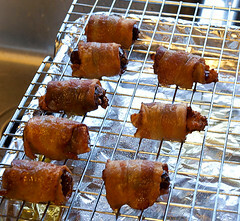 Bake for 25 to 30 minutes, or until the bacon is crisp. Cool for 5 minutes before serving.